It’s Spring! Yay!! Okay, I mean, it’s early Spring. So, wait … what does that mean exactly? Aside from flowers blooming (any day now), and people cleaning (supposedly), what’s the weather going to be like? How do we dress? Do we turn over our closets yet? Where I live, on this lovely April day, we are expecting a high of 75, and kicking off 2 days of snow tomorrow. I think I speak for everyone when I say “whhhaaaattt?! !” I know these weather extremes are not as bad in all parts of the country however, we all experience a transition of sorts. Stepping into a time of year when seasons change and fashion “rules” are not so black and white can have a lot of us pondering the question “what to wear?” more often than normal. From my experience styling clients, I know women like rules that are easy to follow, such as “don’t wear white after labor day,” which result (in their minds) in fail proof outfits. The reality is that there are no clear cut rules. Don’t even get me started on this “no white after labor day” rule. It’s so ridiculous to me, it gets its own blog post next. When dressing for a new season, while still accommodating some of last season’s climate, you will need to take it one day at a time. To help you, I am breaking it down to 5 tips to dressing fierce in these transitional weather months. Layering gives your outfit depth and versatility. There’s the obvious practical reason to layer, which is for coverage in the cooler part of the day, and the ability to shed some pieces off as the day warms up. There is however, more aesthetic purposes for layering. It can make your clothing from last season’s climate adaptable to the new season’s trends. For example, rather than wearing a thick sweater, wear one such as this Chocker Deep V-Sweater (sold out), layered with a Criss Cross Lace Bralette in a matching color underneath. It’s still a sweater look, but with a lighter vibe. Pairing it with the bralette underneath versus a basic cami, adds lace and a touch of spring trend detail. Overall, this look says crisp Spring day way more than a chunky turtleneck sweater would, but is still warm enough. Layering jewelry is another trick that adds depth to a look. There is something about layering necklaces over a simple top and toping it off with a jacket that creates more of a “look” for cool Spring days. The color and bling that jewelry can add to a look has the ability to “lighten” up your vibe. 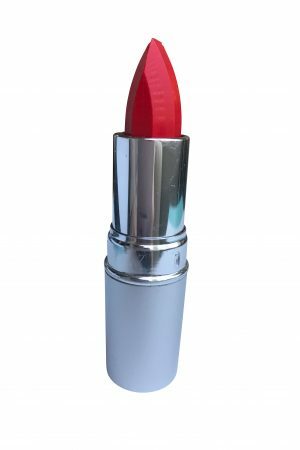 If you’re not ready for bold colored clothing, you can tread lightly by wearing a bold lipstick color such as SO Fierce Creamy Matte Lipstick. or boots with a little black dress. Or wear pants with a fashionable tank top and thick coats. Just go for it and pull it together in a polished way. The rule is, there are no rules! This is a good time to go through your closet and start trying on some of last year’s clothing for the new season, even if you’re not wearing it yet. This will start warming you up to the idea, which will help you not get stuck in the rut of last season’s clothing because they’re out and accessible. It also will inspire you, and help you realize if certain pieces need to be altered, donated, or revamped with a few new key pieces. One of my favorite things to do with styling clients is closet hauls. You’d be surprised the potential sitting in your closet, but needing a little editing or reinventing. Start in your closet before you hit the mall, and don’t wait until you absolutely cannot wear winter clothes because it is 90 degrees outside. Clothes are powerful, but to me, shoes really have the ability to dictate where the outfit is going. Think about jeans with tennis shoes, versus jeans with stilettos, or over the knee boots. Shoes are transformational. When it comes to the shoes and dressing for transitional weather months, keep the shoes weather appropriate, and leave wiggle room in the clothing. 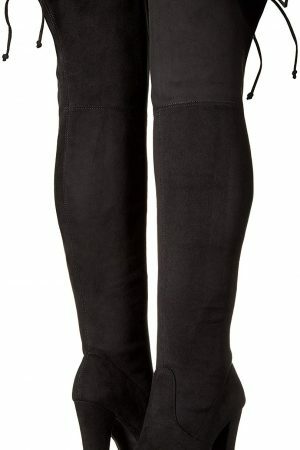 For example, boots are for cooler weather however you might wear them with shorts and a long sleeve top. If you were to wear shorts with open toe shoes, you can no longer make that a cool weather look. So basically, to re-cap, open toe shoes should wait for official warm weather days, and closed toe shoes can make lighter clothes cooler day appropriate. That’s it for now ladies! Please feel free to message me if you have any questions or are interested in getting some personal styling help. Please stay connected via social media and e-mail to not miss my next post, events, new product, etc.